I had the opportunity to work with Jay St Charles of Pacific Yew Archery, master bowyer and sole maker and distributor of the Thunderbird Recurve bow. 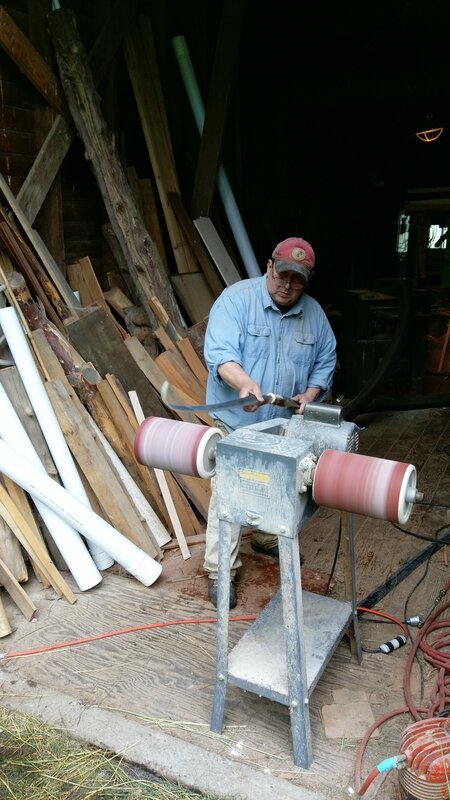 We worked for several weekends bringing a collection of wooden and fiberglass bits together to make a precision instrument. The result is my very own thrunderbird recurve bow which I use for traditional archery practice. The bow starts out as a central block of layered pine and walnut that is cut to the approximate shape of the grip. The right pine and fiberglass laminates are chosen to get the right weight, and they are assembled and epoxied together under heat and pressure. This is what comes out of the press. 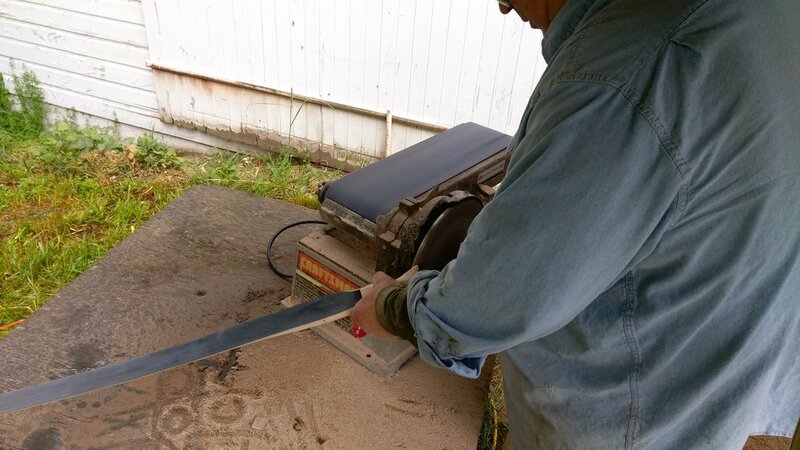 You start to shape the handle on the sander, griding away huge amounts of the body of the grip to expose the layers of woods and shape it to your hand. Next, you have to make the bow's limbs straight by slowly shaving away at each side. This is a delicate process as over-correcting can ruin the bow and force you to start over. Narrowing the limbs also affects the draw weight of the bow, so as you shave it down, you occasionally test its poundage. This also helps to test if the limbs stay streight under strain. The longest step in the process is shaping the handle. A week of sanding a scraping yields a grip that is perfectly fit to the owner's hand. Before sealing, the entire bow is cleaned thuroughly to removed any sawdust hiding in the wood grain. Once the bow is clean and smooth, you can start coating the bow in gun oil to seal it against the elements.